Turkish security forces arrested 641 FETO suspects out of total 1,112 sought in a probe related to a leaked 2010 police exam paper, Anadolu news agency, citing sources says. 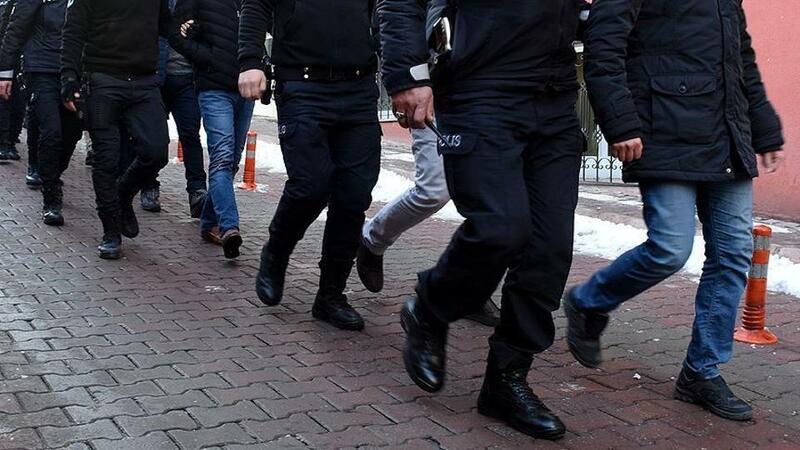 At least 641 suspects have been arrested in a nationwide operation on Tuesday against Fetullah Terrorist Organization (FETO) in a probe related to a leaked 2010 police exam paper, judicial sources told Anadolu news agency. They said Turkish security forces arrested 641 FETO suspects out of a total of 1,112 sought in Tuesday’s counter-terrorism operation. Turkish police are looking for the remaining suspects. The suspects are believed to have obtained exam questions before sitting for the sub-inspector test, said the judicial sources, who spoke on condition of anonymity due to restrictions on speaking to the media. They leaked the exam paper in a bid to infiltrate the police force, the sources added. The probe is underway with simultaneous nationwide police operations. FETO and its US-based leader Fetullah Gulen orchestrated the defeated coup of July 15, 2016, which left 251 people dead and nearly 2,200 wounded. FETO is also behind a long-running campaign to overthrow the state through the infiltration of Turkish institutions, particularly the military, police, and judiciary.